Here are some restaurants in our area where I have had successful dining experiences. I encourage you to look them up, check out their menus and see if they interest you. Seasons 52 This is a chain restaurant that has locations up and down the east coast; they are awesome about many different types of food allergies and custom make things for me all the time. We have gone to all of their NJ locations including Cherry Hill, Princeton, and Edison. Legal Sea Foods This is also a chain restaurant, but they have less locations in the Tri-State area since they are New England based. We love it so much, we drive to King of Prussia, PA or Paramus, NJ to dine there. Well worth the hour long trip to eat well and feel happy! There is great shopping in both areas anyway! KC Prime This is a family owned restaurant that has 2 locations – one in Lawrenceville, NJ and one in nearby PA. They don’t have a gluten free menu, but the owner has family members who are gluten free, so they are very understanding about allergies. They custom make me food if I don’t want something off the menu. They also make me my own special plate of food when they do their Sunday brunch (which is fabulous) so that I don’t have to worry about cross contamination at the buffet. Temple Gourmet Chinese in Red Bank, NJ – Yes, a Chinese place that caters to gluten allergies! They have lots of options on their menu, and they have made me custom combinations of vegetables upon request due to my unusually allergies. My husband LOVES this place. People always ask me why I don’t go to P.F. Chang’s and I tell them that although they are very good about gluten allergies, 99% of the menu items have either soy or egg in them; that means I am having plain lettuce with steamed chicken for dinner if we eat there. So we go to Temple Gourmet instead! Antoinette Boulangerie, a French style bakery, in Red Bank, NJ. We happened upon this beautiful little shop one day last summer (2015) and it was such a treat! The menu offers gluten free (and also some dairy free) options as well as your standard baked goods and desserts. The food is so pretty, you almost don’t want to eat it! If you go to Red Bank to dine at one of their many gluten free establishments, stop in here for dessert. Earth Pizza in Red Bank, NJ. They have gluten free and vegan options on their menu. They offer a large variety of foods and have always been very helpful when we have been there. FYI, they are next door to Temple Gourmet! Café Spezia in Manalapan, NJ. This place is Italian food and I had a few nice choices from their menu. I have heard that they have some dairy free options as well, but I did not personally order any of those things. I heard they might have closed, but you should check if you will be in their area. Good Karma Café in Red Bank, NJ. If you like vegan food, this is the place to try. I enjoyed my quinoa salad there, and I would go back again. Really hard to get a table there though, small and popular! Wildflower Bakery and Café in Lawrenceville, NJ. Lovely breakfast place that is very allergy aware. Their entire menu is gluten free to avoid any possible cross contamination. 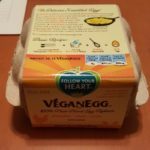 If you’re also dairy or egg free like me, it does limit several of the food options, but I was able to find a few things to eat….happily. My husband said the baked goods and pancakes tasted ‘like regular ones’ which means he loved them! Burton’s Grill Although they are not here in NJ (yet), this multi-location restaurant is wonderful with food allergies. We often eat there when we are in New England or Virginia visiting family. If you are traveling or live near one of their locations, you should definitely check them out. 12 Farms in Hightstown, NJ is incredibly delicious and extremely accommodating. I went there recently with my husband for a date and they made me a meal that was full of flavor and free of all my allergies. Both of us felt our knees melt when we tasted each bite of their inspiring food. Foodies will love their originality with the menu; people with allergies will have a chance to truly experience amazing food without sacrificing taste. Locally sourced ingredients from farms in our area makes it even more special. This is our new favorite restaurant in NJ! La Mezzaluna in Princeton, NJ is right on Witherspoon Street, just footsteps from the University’s Campus. This place serves authentic Italian food that is absolutely delicious and made to order. I found them to be personable, attentive, and very accommodating. I have dined at this restaurant 6 times in the past 4 months and each time is a true pleasure! My friends and family told me that their food was also incredible. My favorite dish so far is scallops and shrimp with sauteed spinach and broccoli.